Bundesliga | Who are Jürgen Klinsmann's Bundesliga 2 babies? Who are Jürgen Klinsmann's Bundesliga 2 babies? Jürgen Klinsmann has named eight Germany-based players in a transitional squad for next week’s friendly against Puerto Rico ahead of the Copa America Centenario in June. Wood has had a 2016 to remember so far. He scored in all eight Bundesliga 2 appearances since the turn of the year – hitting ten goals in that spell – and his season tally of 17 is the most scored by any American player to have played in the Bundesliga or Bundesliga 2.Considering he had scored six goals in two years in the second tier before the campaign began, his improvement is remarkable. You can watch his record-breaking goal against SC Paderborn 07 on Matchday 29 below. "Fafa" Picault scored both goals in FC St. Pauli’s 2-0 win over VfL Bochum on Matchday 30, taking the Man of the Match award. 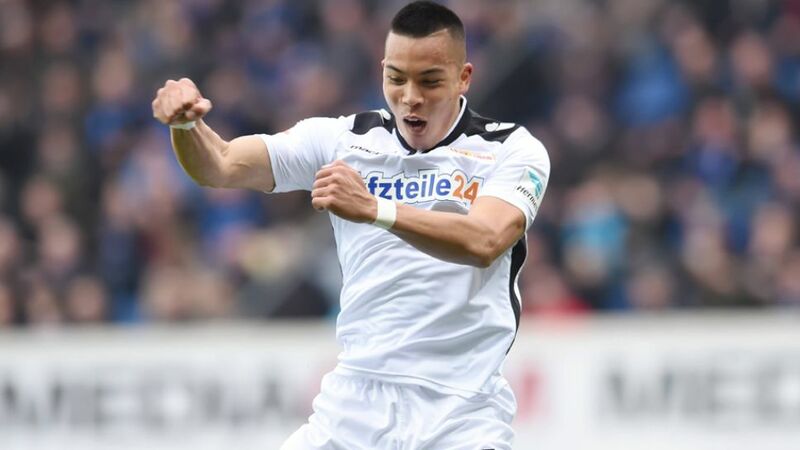 He finished the season with four goals and an assist to help Pauli finish fourth. Stanko was a constant in the Freiburg squad that won promotion as Bundesliga 2 champions this season. He was named in the matchday squad 26 times under Christian Streich and made five appearances, including one start. Steffen transferred to Freiburg in the winter transfer window and made 14 appearances for the reserve side in the southwest regional league.